By RABINDER NATH MALIK, Ph.D. I was born in 1934 in a town in the State of Punjab in undivided India. Following India’s Independence and Partition in 1947, my family was forced to move from West Pakistan to India as refugees. We settled in New Delhi and like millions of other displaced persons, our life was a struggle for survival. Somehow I was able to finish high school, and after that, I started working in an insurance company to support my family. While working during the day, however, I went to an evening college for higher studies. My connection with Japan began 42 years ago, in February 1976, when I arrived in Tokyo as a United Nations official to start working for the newly established United Nations University, which is a unique international academic institution dealing with issues of human survival and development as an organ of the United Nation. It was the first international organization to set up its headquarters in Tokyo at the invitation of the Government of Japan. While its headquarters is in Tokyo, the U.N. University has a worldwide network of research and training centers and programs. I continued to work for the U.N. University for a period of 20 years in different capacities, and finally retired as Executive Officer in May 1996. Taking into account my 20 years of earlier assignments with WHO and UNDP, I thus had the good fortunate of having completed 40 years of service with the United Nations System. For this, I was happy to receive a special award from the U.N. Secretary General. Following retirement from the U.N. University, I decided to stay on in Japan as I had received some very attractive offers to teach at Japanese universities. I was happy to have the opportunity to share with the students the lessons I had learnt from my life-long experience of working with the U.N. Agencies in different countries. To start with, I taught courses on International Relations as a Visiting Lecturer at Chiba University for three years; and later on, for two years at Kokushikan University. Subsequently, for ten years, I taught a course on “Global Issues and Role of United Nations” at Keio University from 2006 to 2016. Another assignment that I enjoyed very much was to serve, on two occasions in 1998 and 1999, as Adviser/Lecturer for the “Ship for World Youth Program”, which is sponsored by the Government of Japan to promote cultural exchange among the world youth. The two-month long program took place on board a ship chartered by the Government, with young participants coming from several countries including Japan. 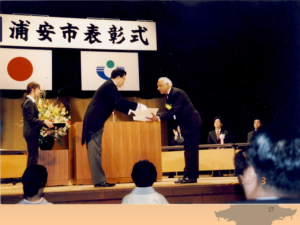 As I was living in Japan, I also accepted the invitation from the Director General of the well-known Indian research institution, “The Energy and Resources Institute” (TERI), to represent TERI in Japan and to help promote cooperation with Japanese institutions in the areas of energy, environment and sustainable development. I still continue to represent TERI in Japan and the added advantage of this assignment is that it enables me to keep abreast with developments in India. While my work with the U.N. University was of an international character, my long stay in Japan provided me with an excellent opportunity to establish contacts and friendships, both officially and socially, with the Japanese people in the Government, academic circles, business and social and cultural organizations in Japan. Moreover, as my wife is Japanese, I acquired relatives in Japan. I also made many more Japanese friends in the City of Urayasu, where I have been living for the last 37 years and got actively involved in several community activities. I served as the President of the Urayasu Foreign Residents Association (UFRA) for many years, and was able to play a special role in promoting intercultural exchange and understanding among the Japanese and foreign residents of the city. In recognition of my contributions in the community, the Mayor of the City of Urayasu honored me with the “Education and Culture Award” (see photo below). During my long stay in Japan, I got to know Japan and Japanese people well and became an admirer of the Japanese culture. I appreciate the quietness, cleanliness and kindness of the Japanese people and the egalitarian society of Japan. One cannot find another example of a society that has progressed so rapidly in attaining high levels of development and growth and creating a modern society without losing its cultural roots. What has also been of great help to me in making friends and assimilating in the Japanese society is my keen interest in learning traditional Japanese folk music (Enka and Minyo). Soon after coming to Japan when I first heard Japanese Enka songs, I was attracted because I found the melodies to be quite similar to Indian Ghazals that I used to sing when I was young. Even while working for the U.N. University, I started taking lessons in singing Enka and later Minyo. After years of training, I have been singing on stage and television, taking part in contests and winning prizes (see photo below). The Japanese folk songs also helped me in understanding the Japanese culture better, and I began to perceive similarities between the cultures of India and Japan. Not only through songs but also during my day-to-day interaction with family and friends in Japan, I have noticed that we tend to share the same values. What I have observed at weddings, festivals and other social occasions in Japan is that while the styles and decorations may be different, there are certain basic similarities in the traditions and customs of Japan and India. This inspired me to study more in depth about the centuries-old spiritual connections between Japan and India that began in the 6th century when Buddha’s message of compassion reached the shores of Japan via China. This spiritual connection between Japan and India could also be deduced from the fact that there are several gods and goddesses of Indian origin in the Japanese mythology and folklore. After Meiji Restoration, Indian traders came to Japan and made Yokohama their home. Also, the cultural links between India and Japan were further renewed through contacts between renowned Indian and Japanese scholars, most notably visits to Japan by Swami Vivekananda in 1893 and by Gurudev Rabindranath Tagore in the early years of the 20th century when Gurudev developed a special friendship with the famous Japanese scholar, Okakura Tenshin. I remained also in touch with the Indian community in Japan, which was not very large when I first came to Japan. I was happy to meet some of the senior Indians living in Japan who had taken part in the fight for Indian independence during the time of Netaji Subhas Chandra Bose. I was also a regular visitor to Yokohama to attend Diwali and other Indian festivals and to meet the members of the Indian community settled there. In recent years, it is good to see the growing population of Indians in Japan, especially the young IT engineers and senior staff working at universities and financial and other institutions in Japan. Throughout my long stay in Japan, I have enjoyed participating in events that are organized by the Embassy of India, the Japan India Association and other organizations to promote social and cultural exchanges between the peoples of Japan and India. I get invited occasionally to give talks on India-Japan relations, which I do mostly in Japanese but sometimes in English. In my talks, I also present songs from India and Japan and highlight similarities between the cultures of our two countries. When Japan faced the triple tragedy of earthquake, tsunami and nuclear plant disaster on March 11, 2011, the whole world shared in its sorrow and at the same time it also admired the fortitude, discipline and resilience of the Japanese people and prayed for a reenergized Japan. At that time, India had also sent a special contingent to Japan to help and support the people in the affected areas. The Indian contingent was based in the Town of Onagawa in Miyagi Prefecture in East Japan, and thus developed a special connection between India and Onagawa. Last year, at the “NAMASTE INDIA” Festival that was held in Onagawa, I also participated and sang Japanese MINYO folk songs, accompanied on Shamisen by a local musician. 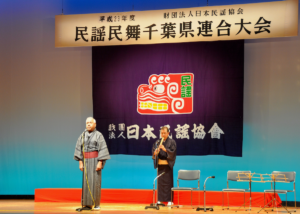 When I sang “Sansa Shigure”, a very popular song of celebration of the Miyagi Prefecture, the people of Onagawa loved it and joined me – it was a deeply touching moment for me. I have also written articles, in English and Japanese, in magazines in Japan about the similarities of cultures of our two countries and about the new era of growing bilateral relations between our two countries. India, the largest democracy in the world, has accomplished remarkable economic development and is recognized today as an emerging economic power. Japan has been a consistent supporter of the development of the Indian economy and it is deeply involved in India’s infrastructural development, including metro rail projects in Delhi and other metropolitan cities, as well as other flagship projects. The Japan India comprehensive economic partnership agreement has opened up new opportunities in the bilateral economic engagement. The strong bilateral ties between Japan and India now also encompass converging political and strategic interests, and I believe that these will be beneficial not only for our two countries but will also contribute towards long-term regional and global prosperity and stability in the 21st century. While in recent years there has been a remarkable increase in the business ties between Japan and India, difficulties sometimes arise not only because of different business styles but also because of the low exchange of people and information between the two countries. The Japan India Association, of which I have been a member since my arrival in Japan, has been making concentrated efforts to promote Japan-India relations for more than a century. There are also many other institutions in Japan that have been actively involved in the promotion of business and economic relations between Japan and India. Over the years, however, it became clear that there was a need to enhance and strengthen more people-to-people contacts between Japan and India, particularly between the youth of our two countries. In 1978, some members of The Japan India Association had founded a group entitled “Discover India Club” (DIC) with the objective to promote more social and cultural exchanges between the peoples of Japan and India. The DIC members organized lectures on Indian religions and produced guidebooks on India and its life and society in Japanese language. It also organized tours to India, and in 1997 a special tour to India was arranged at the time of the 50th Anniversary of Independence of India. I also joined this India tour as a member of DIC and was the only Indian in the tour, and made many new friends. For several years, the DIC members were quite active but unfortunately the membership of the “Discover India Club” (DIC) kept declining and by 2010 its activities came to a stop. Some of the older DIC members, who regretted the closure of DIC, were keen on restarting the DIC, and invited me to join them. The new DIC was inaugurated on 13 July 2013 at a meeting held in Yokohama, and it was a great honor for me to be elected as the first President of the new “Discover India Club” (DIC). The new DIC aims to draw people from diverse fields, especially younger people, and also Indians living in Japan, to make it a forum where Japanese and Indians can become friends and get a better understanding of each other’s country and culture. The new DIC attracts people who have experience of India and who want to explore India further with the aim of contributing to building and expanding bilateral relations through cultural festivals, music and dance, stage dramas, arts and architecture, and textiles and fashion. The rapid economic development of India has brought about many changes in the lifestyle of Indians. The DIC plans to collect information on the Indian way of life, business and society and disseminate it among the general public in Japan through its website and through seminars and cultural and educational functions. The foundation ceremony of the new DIC was held at the Vivekananda Cultural Centre (ICC) Auditorium of the Embassy of India on 18th October 2013, at which strong messages of support were received from Her Excellency Mrs. Deepa Gopalan Wadhwa, the then Ambassador of India in Japan, and from His Excellency Ambassador Hiroshi Hirabayashi, President of The Japan India Association. Since its establishment, the new DIC has been able to organize several functions very successfully with the collaboration of the Vivekananda Cultural Centre at the Embassy of India, The Japan India Association, The Vedanta Society of Japan and other friends and supporters. Seminars on different aspects of Indian life and society are organized on a regular basis. The new DIC also organized its first Cultural Tour to India in November 2017, with several Japanese participants, who visited New Delhi, Agra, Ahmedabad and Mumbai. In each city, cultural activities were undertaken in collaboration with the local India-Japan Friendship Associations, including also home stay with Indian families in Ahmedabad. During this tour to India, discussions were also initiated to plant Sakura trees in different parts of India as a symbol of India-Japan friendship, in collaboration with the Japanese Cherry Blossom Association. The Embassy of India in Japan has been approached for support in the implantation of this project. Another good news is that in 2014 the “Discover Japan Club” (DJC) was established in New Delhi, India, and we now have a close partner in India for disseminating information about Japan to people in India and promoting social and cultural exchanges between the peoples of our two countries. Already, in November 2017, the DIC in Japan and DJC in India joined hands together and organized a KONNICHIWA JAPAN Festival in New Delhi, India. 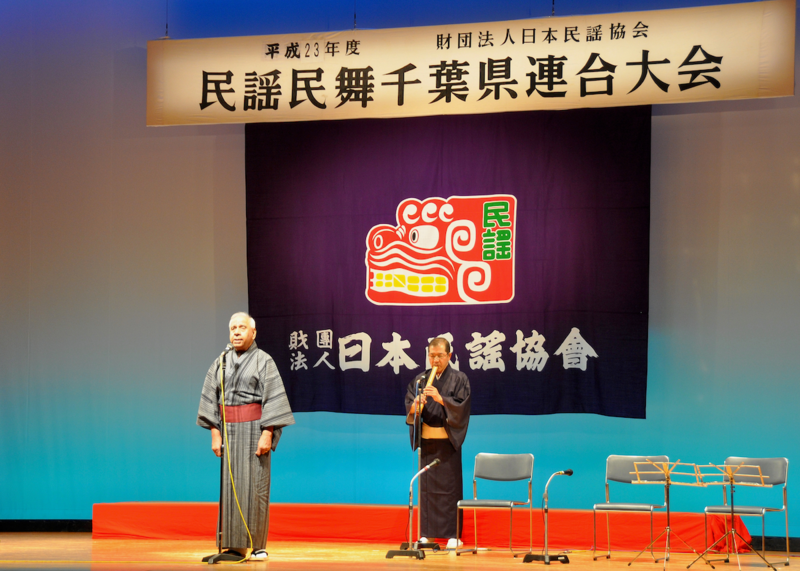 During the two-day Festival, a great variety of programs of Japanese culture and society was presented and enjoyed by nearly 90,000 persons who attended the Festival. Several members of the DIC travelled from Japan to India to participate in the Festival and made presentations of Japanese calligraphy, traditional Japanese folk music and Shigin poems. Two Sumo wresters also came all the way from Japan to join the Festival and gave an excellent display of the traditional Japanese sport. The KONNICHIWA JAPAN Festival was such a great success that it has been decided to hold this Festival in New Delhi every year, and this year it is scheduled to take place in October 2018. The Embassy of Japan in India, the Japan Foundation and several other organizations have agreed to extend their support for the Festival. It gives me great pleasure to report that there are clear indications of growing interest, both in Japan and India, in improving social and personal contacts between the peoples of our two countries. This is evident from the substantial increase in the membership of the “Discover India Club” (DIC) in Japan since its establishment. We also witnessed a growing interest in India towards Japan and its culture during the KONNICHIWA JAPAN Festival that was held in New Delhi as well as in Ahmedabad, where we were welcomed by the Japan Centre of the Ahmedabad Management Association (AMA) and which also organized home stays for our Japanese members with Indian families. On both sides, sustained efforts are being made to further strengthen the already close bilateral relations between Japan and India. We believe strongly that enhanced exchanges between the peoples of our two countries would provide a strong foundation for long-term, mutually beneficial bilateral relations between Japan and India. The members of the DIC in Japan deeply appreciate the strong support of the Vivekananda Cultural Center at the Embassy of India, the Japan India Association and other organizations interested in promoting Japan-India friendship and collaboration. Personally, for myself, at the ripe old age of 84 years, and having spent half of my life in Japan as an Indian resident, it is only natural that I plan to devote the rest of my life for the promotion of friendship and cooperation between the peoples of Japan and India.